Mt Bromo Astrophotography Tour Package by Camping – It’s time to show off your astrophotography skills, as this is an opportunity for you to capture stunning night scenes at Mount Bromo. Doing camping on mount penanjakan ( the peak ). Standing at a towering 2,700 meters above the sea. 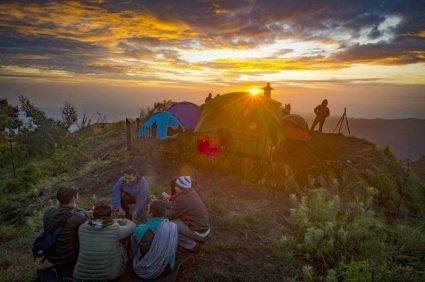 Camping on mount penanjakan at bromo area is a new experience to enjoy the atmosphere in the night. You can be captivate by the splendour of her night skies and landscape. Focus to the natural phenomenon a occurs at night in Mount Bromo. A collection thousands and even millions of stars that have the volume of gas and dust formed in the galaxy. The beauty of milky way in mt bromo area cannot be see directly. Milky way will seen if the circumstances surrounding it is dark. 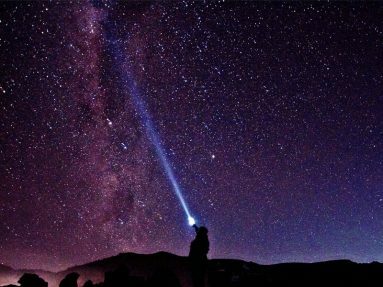 Using DSLR cameras and binoculars will be clearly visible collection of stars that make up the milky way. After that enjoying the breathtaking view of the sunrise with a background of mount Bromo, mt Semeru and mount Batok. When finished prepare to go down to the crater of Mount Bromo. From the parking area you can ride a short horse or walk up to the crater of Mount Bromo.